The Capuchin Poor Clares were founded by the Catalan noblewoman and Franciscan tertiary Maria Lorenza Longo. 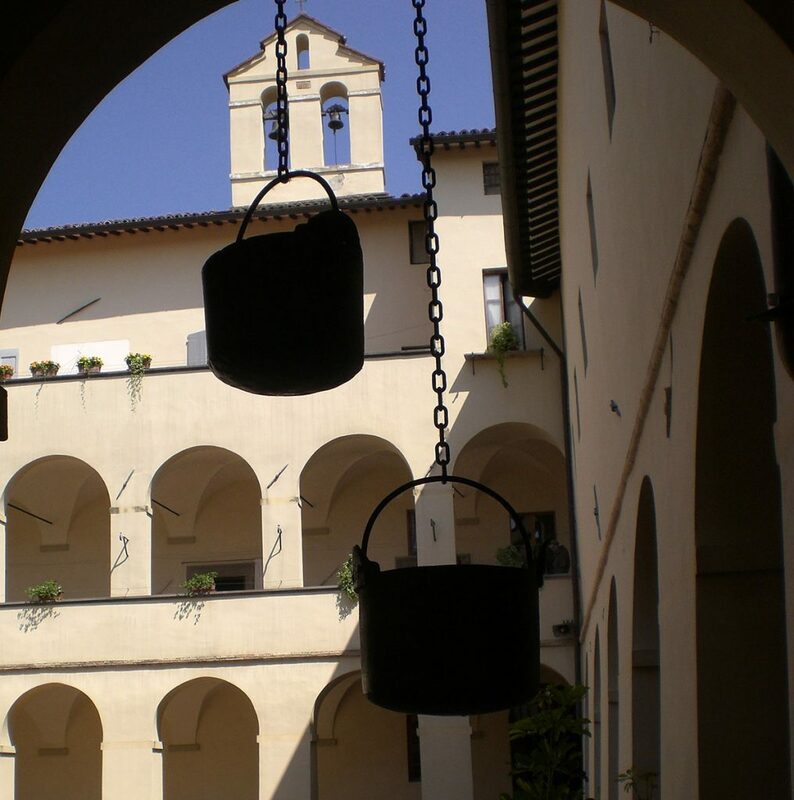 After a lifetime spent in the service of the least and of the sick people at the Hospital for Incurables in Naples, she decided to set up a monastery where she could totally devote herself to prayer, penance and retreat. In 1535, with the papal bull Debitum pastoralis officii. Pope Paul III approved the foundation of the Monastery. In 1538, he recognized it as a “Monastery of strict observance of the Order of St. Clare” and entrusted its pastoral care to the Capuchin friars. In 1623, the noble Msgr. Giovanni Antonio Fuccioli wrote his Will and left a third of his properties for the building of a monastery of Capuchin Poor Clares in Città di Castello. After Fuccioli’s death, the bishop Evangelista Tonioli, chose the parish of St. Angelo in the district of St. James as a suitable place. In fact, according to the post-Tridentine norms, it was mandatory that Monasteries be located within the city walls. 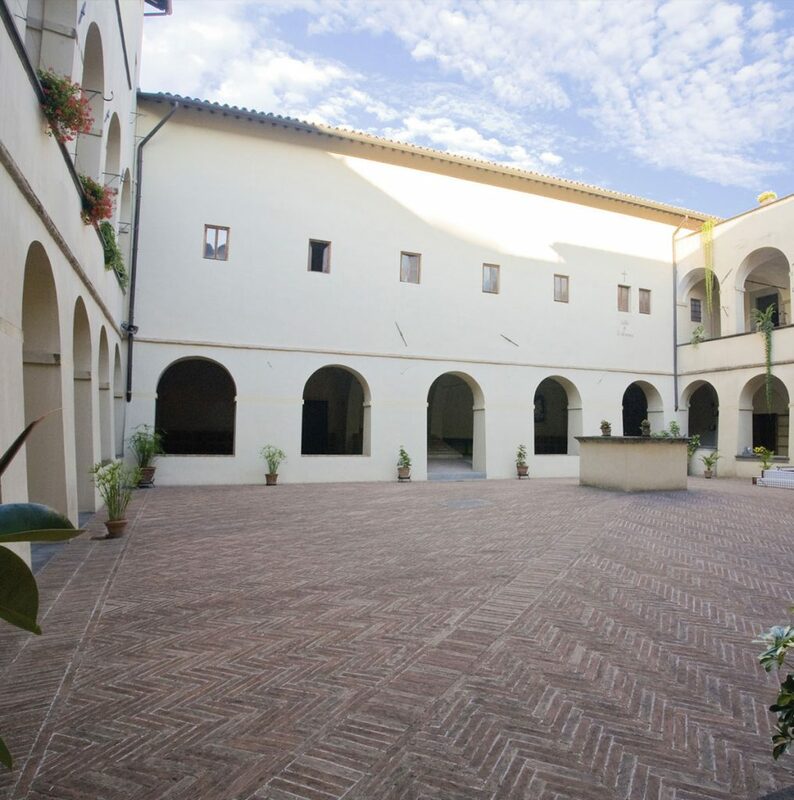 The building was completed over a period of twelve years and reflects the spaces and building criteria set by the Instructiones fabricae ecclesiasticae by St. Carlo Borromeo. On July 2, 1643, fourteen young girls with no dowry or other income were admitted to religious life. 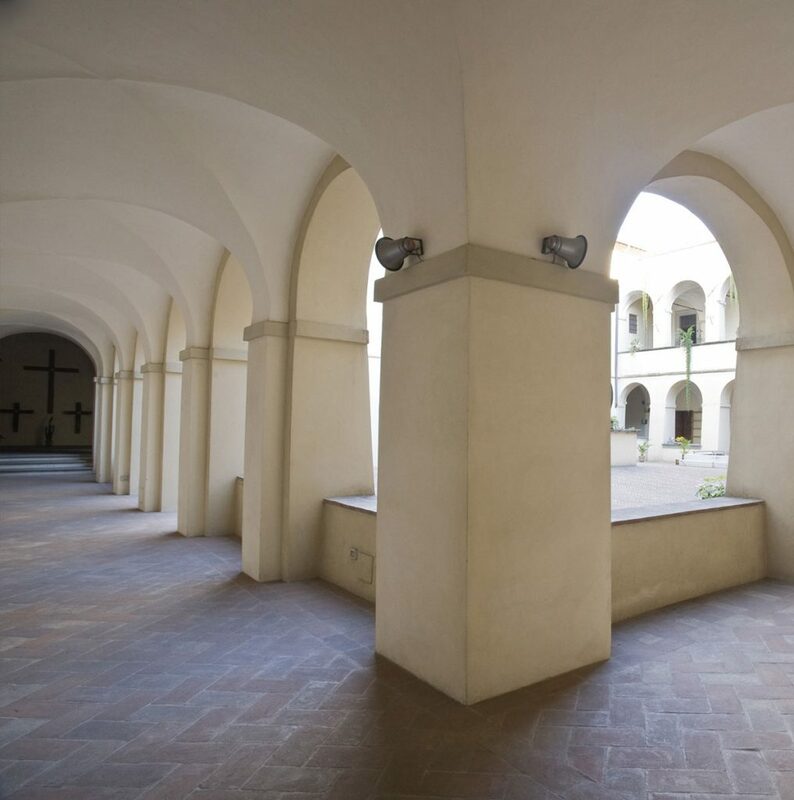 The nascent community was entrusted to Sister Costanza Danzetti and to Sister Cristina Ansidei, the two founding mothers chosen from the monastery of Perugia, one of the first monasteries that had embraced the reform of the Capuchin Poor Clares.